Recently, we have had a lot of enquiries about high formaldehyde readings in offices or public spaces. 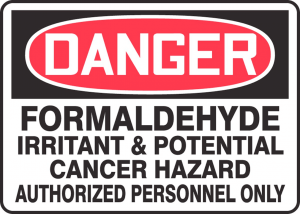 Commonly, little is known about Formaldehyde, what it is and how to deal with it. Formaldehyde is a colorless, flammable gas at room temperature and has a strong odor. Exposure to this may cause adverse health effects. Irritation, and other symptoms. The International Agency for Research on Cancer (IARC) reclassified formaldehyde from “probably carcinogenic to humans” to “carcinogenic to humans” in 2004. Formaldehyde exposure is difficult to avoid since formaldehyde is present naturally in the environment in variable amounts ranging from less than 1 ng/L in remote areas to 10-20 ng/L in urban environments, Exposure limits, whether recommended or required, vary greatly from one organization to the next. The National Institute of Occupational Health and Safety’s (NIOSH) recommended exposure limit (REL) of 20 ng/L is generally accepted as the number to aim for. How do you reduce the exposure? Indoor levels are higher than outdoor levels due to off-gassing of formaldehyde from materials of construction and is further exacerbated by improvements in energy efficiency in building construction, which leads to the unintended consequence of more efficient trapping of VOCs and formaldehyde. Wood is a natural source of formaldehyde. 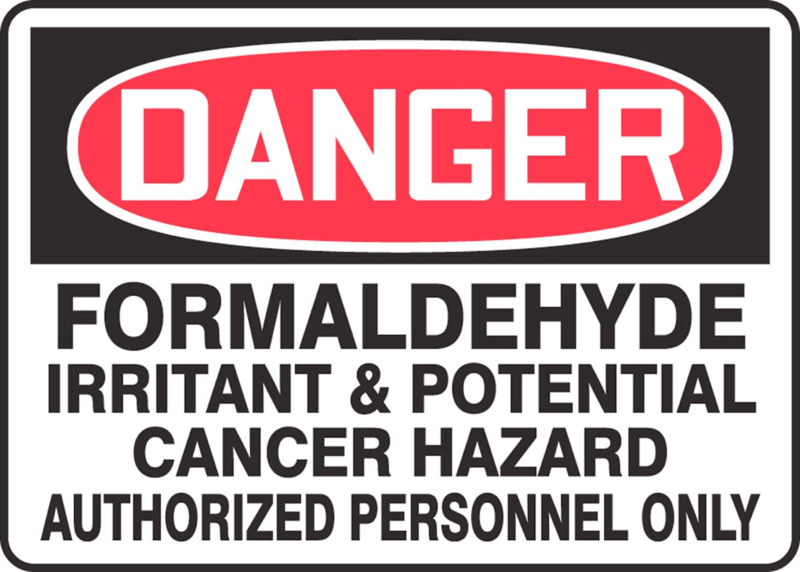 Combustion sources, including environmental tobacco smoke, typically increase formaldehyde concentration in confined spaces. Proper ventilation, as well as temperature and humidity control, can result in an acceptable environment even in locations where non-compliant materials are used. Conversely, concentrations may be elevated in areas where all materials of construction are compliant but ventilation may be insufficient. If room formaldehyde levels are elevated, then source reduction, ventilation modification, or some other remediation method should be employed to reduce the formaldehyde levels. All must keep in mind that removal of materials and replacement with other materials can lead to other immediate formaldehyde and/or VOC problems. When using or introducing products that are known to contain this substance (remember that it is naturally occurring in wood), it is best to allow the item(s) to off gas outside of the living quarters for a time period. If products are contained in packaging or wrap, remove them and unstack them or spread them out to allow more of the surface to release the formaldehyde. This will help to reduce the amount that is introduced into the breathing area. Recently, ozonation and other remediation techniques involving energetic radiation have been employed to try to reduce formaldehyde levels in indoor air. Caution must be taken when using these techniques because they frequently lead to additional problems. For instance, ozonation can damage materials of construction, especially rubber and plastic, and has been known to generate additional by-products, including formaldehyde, which is counter-productive to the remediation effort. Regardless of these general guidelines, the key for indoor air quality is to minimize formaldehyde and VOC exposure everywhere possible. Every person is unique in their reaction to formaldehyde exposure. Source reduction and ventilation improvements are typically the best ways to reduce exposure.. Where source reduction isn’t possible, an air cleaner equipped with a carbon bed adsorbent can be helpful in reducing indoor VOC and formaldehyde levels. In addition, be aware of good ventilation, buy cleaning products at are low or no VOC content and check for low VOC adhesives in any paint or furniture you use. You can always contact us for any assistance in helping you to diagnose, remove or prevent formaldehyde in your indoor spaces. 2017 – Healthy Indoors – Sarah Mack – “HCHO – The Chemical Alternatively Known as Formaldehyde” – http://hi.healthyindoors.com/i/815664-march-april-17/15?